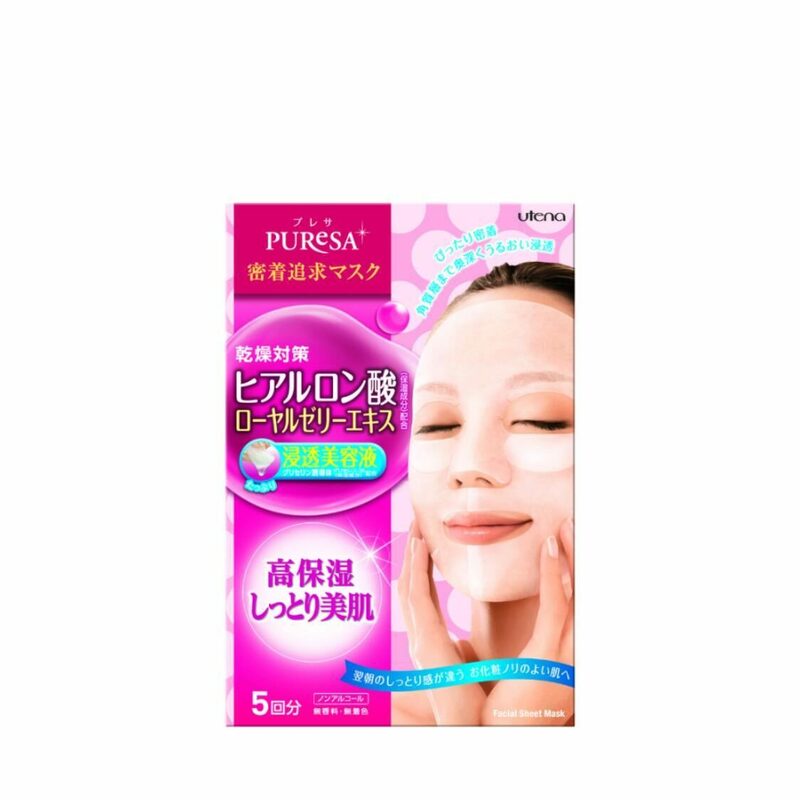 Masks containing hyaluronic acid and royal jelly extract. The sheets infused with richly thick essence give moisture and help dry skin to become amazingly beautiful. No alcohol, no fragrance and no artificial colours.